As you might have seen, we are keen to showcase the wonderful founders and brands that have passed through Formula Botanica’s doors. We are immensely proud to see them go on to success and are also curious to know about their back stories and how they got their businesses off the ground. In this post, we talk to Elleria Janås of Ellie & Carl Skincare Botanicals who grew up in one of Europe’s most northerly countries only to settle and launch her brand in one of its most southern. Hi Ellie, please tell us a bit about you! I’m Ellie (Elleria) founder of Ellie & Carl Skin Botanicals. I was raised in Sweden and live with my husband and four children in Malta. I am a qualified nurse and have a Masters Degree in Business Finance. 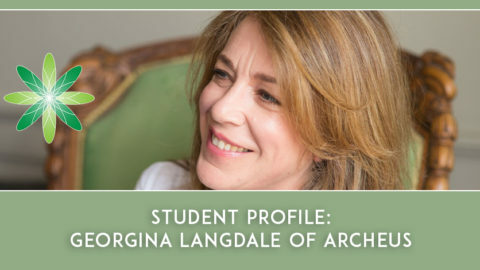 My previous occupation was as the manager for the in-house bank and accounting office of the famous amusement park, Gröna Lund, in Stockholm. Over the last four years, I have developed and created the Ellie & Carl Skin Botanicals range. Can you please introduce your business to us? 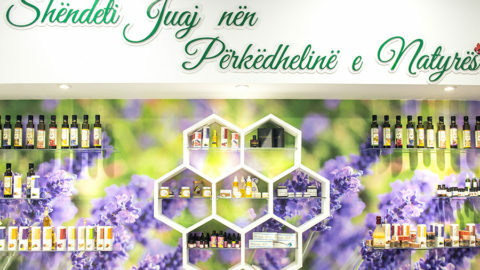 Ellie & Carl Skin Botanicals is based in Malta and we sell natural and organic skincare exclusively from our web shop. Our core market is primarily Europe. All our formulas are developed with a clear vision about our products’ roles and how each is beneficial for specific skincare issues and uses. We always aim to use natural, organic and cold-pressed ingredients to get the maximum nutrients from our ingredients. We formulate with exquisite botanicals with high levels of actives to deliver maximum results and a long-term relationship with our skin. Many of our product formulas are inspired by family and friends and people with certain skin issues who were looking for skincare product dedicated to solving their needs. We also get inspiration from exciting ingredients that we come across from around the world that have been used for centuries for their properties and that we want to introduce to our customer base. Our body works in an incredible way by acting and giving us clear signs of how it feels. Our philosophy is to assist the skin to find the right balance, to nurture the skin by using ingredients it can grasp the nutrients from and improve by. Ellie & Carl aims to use ingredients that are natural for the skin to interact with as to retrieve the vitamins, essential fatty acids and antioxidants the skin needs to stay balanced. The ingredients are also there as a protection against the environmental factors that can make the skin unbalanced. We see every single ingredient we use as a powerful worker, so when we create a new product we are in effect putting put together a team. A team that has a job to do! Every time we research an ingredient, we feel we travel back in time, visiting the history about the ingredient, visiting different cultures and different places. Each time we read a research report, we get a glimpse of the future of botanicals as promising and powerful partners for a healthy lifestyle. Ellie & Carl Skin Botanicals inspired by people, provided by nature! 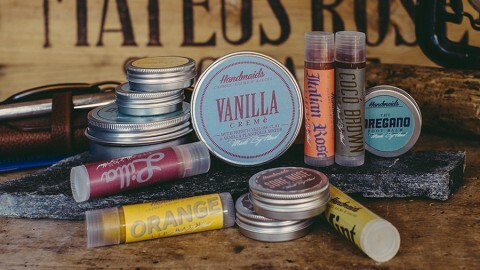 From where did you get the inspiration for the name and the product range of your brand? The brand name Ellie & Carl Skin Botanicals originates from the names of my husband, our children and myself. The inspiration to create my own brand came when I read about essential oils and I got curious about the effects they have on our health. 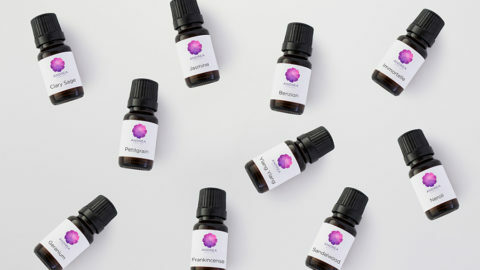 When researching essential oils, I got to know about floral waters and different carrier oils and I was amazed by their properties. I searched for courses to gain proper and professional knowledge about formulating and working with the ingredients I had found. I came across different schools for natural skincare formulating but Formula Botanica headed up by Lorraine Dallmeier caught my interest. 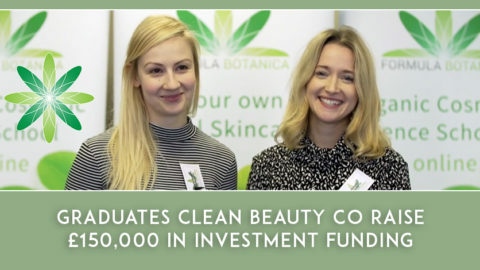 I signed up for the International Organic Skincare Entrepreneur Program with Formula Botanica and have had wonderful teachers and an amazing team supporting and helping me throughout my education. What type of skincare products do you sell? Age Zero collection for mature skin. I see ageing as a privilege and believe we can age in a beautiful way with glowing skin with the right tools. Balance collection for Men and Women is especially good for oily and combination skin but works wonders for all skin needs. Sensitive collection is for sensitive skin, to calm, balance and protect the skin. Mum to Be collection for expectant mums to balance the hormonal changes during and after pregnancy. Mind collection with aroma blends for stimulating and relaxing the mind. All our products have a story behind their existence. They are created after inspiration from meeting and talking to people with different skin concerns and from a desire to help them find solutions for their needs. I love to see and hear about the wonderful results from our customers. Some of my personal favorites are the Balance Face Serum for Women; I love the aroma and the fresh, soft and smooth feeling it gives my skin. I have combination skin and love how the sebum-balancing oils help to balance my skin and leave it with a lovely glow. I also love the Age Zero Face Mask to get a deep clean and clear complexion. The Relax Aroma Blend is my favorite before going to sleep as it helps me to let go off the day and I feel so relaxed. 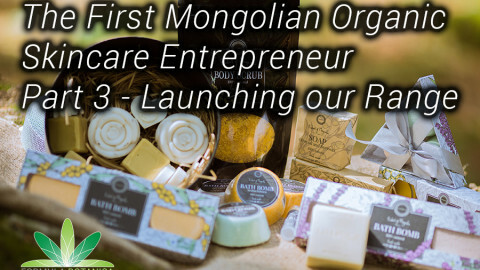 The International Organic Skincare Entrepreneur Program has been there supporting me at every step in creating the range’s products which are backed by sound knowledge and research about ingredients that offer amazing results. The quality of the education at Formula Botanica is superb and so is the knowledge and support from the whole Formula Botanica team. For many years I wanted to create my own business. When I realised the power of plants, the ingredients became the first inspiration because of their amazing properties. Following my time studying with Formula Botanica, I felt I had a so many different options of what to do with the knowledge and education. We know the benefits of eating plants because of the health properties and to be able to use the same benefits on our skin made me feel very excited, and that’s why I wanted to create plant-based skincare. Once I started with pure and high-quality, plant-based products and felt the difference on my skin, I could in no way imagine going back to what I was using before! I love to feel the freedom in the creative process, to be able to create whatever I want with exciting ingredients to get the results we desire. One of the challenges in launching the Ellie & Carl brand was finding the niche to work within and the right product range. Another big step was to source the right suppliers for ingredients and packaging that meet the high standards we’ve set for Ellie & Carl Skin Botanicals. But by working out a clear vision at the outset, we then had a sound foundation to build from. 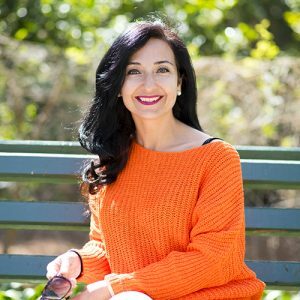 As a start-up business a big challenge has been to find time juggling researching, laboratory experiments, documentation and structuring the business while at the same time being a mother of four children under the age of eight. 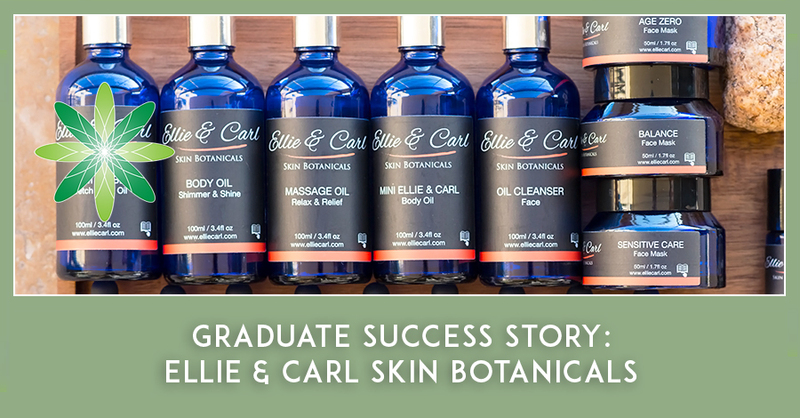 Life experience and its challenges have been the foundation of what has made Ellie & Carl Skin Botanicals what it is today, and which I am very proud of. Believe in your dream even on the toughest days and try to see beyond the exhaustion while getting it all together. The challenges give us new ways to see things and to find creative ways of handling them. When the product and the brand is in your hand, it’s all worth it especially when you get positive reactions and people choose to buy your product over and over again; that has to be the best payback for your hard work and all that you have accomplished. Follow your gut feeling, have fun and make sure to enjoy the journey; it is a privilege to be able to work with what makes us happy. 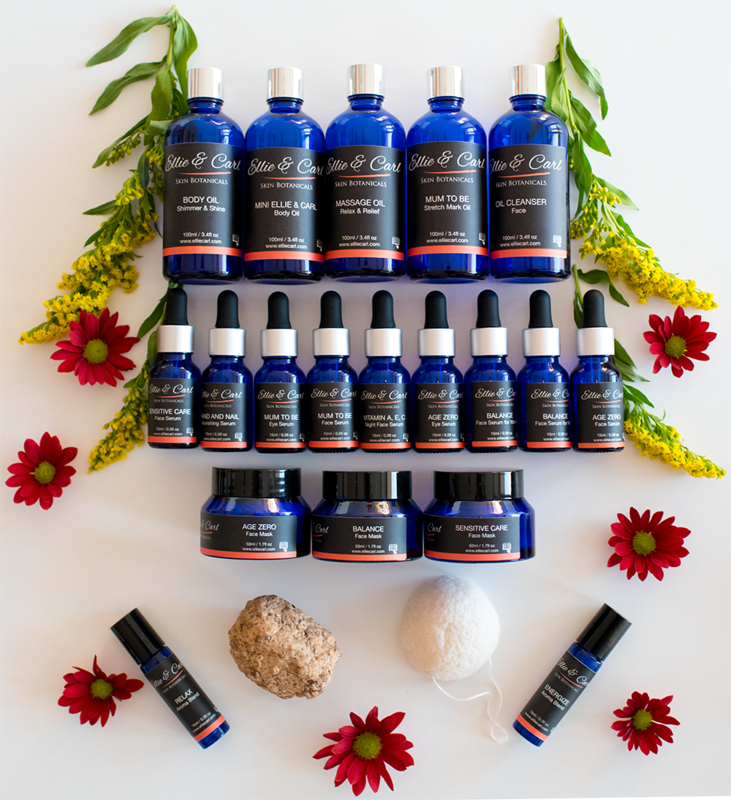 If you want to follow in Elleria’s footsteps, then take our free sample organic skincare formulation class and you’ll be on the way to starting the organic skincare business of your dreams.